At 187 yards, this is the 3rd par 3 of the round. 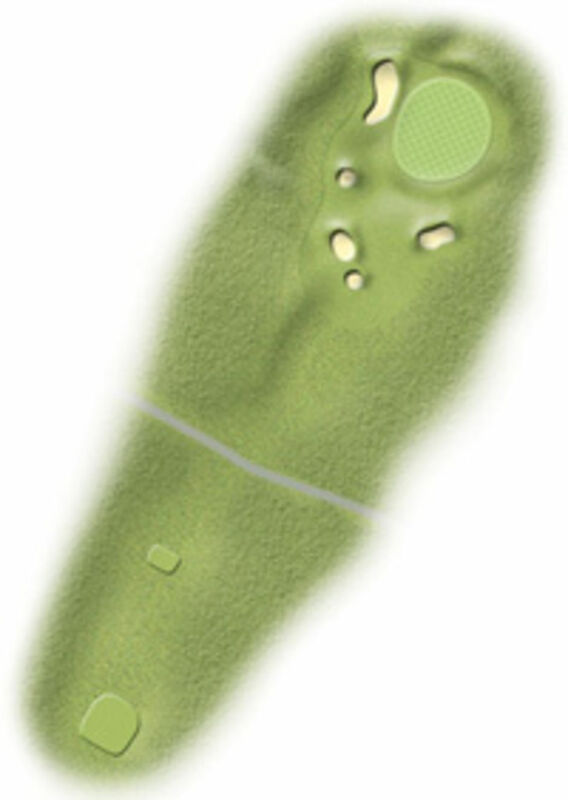 The green is the only place to be off the tee, anywhere else and you are faced with a difficult up and down for your par. A tough par, forget the pin and aim for the centre of the green. This green can be very fast.